In all the years I've been writing Atheist Revolution, I think it is strange that I don't recall ever writing a Mother's Day post. I am not completely sure that I have not done so, but I don't recall doing so. And so, I think I'll fix that this year. 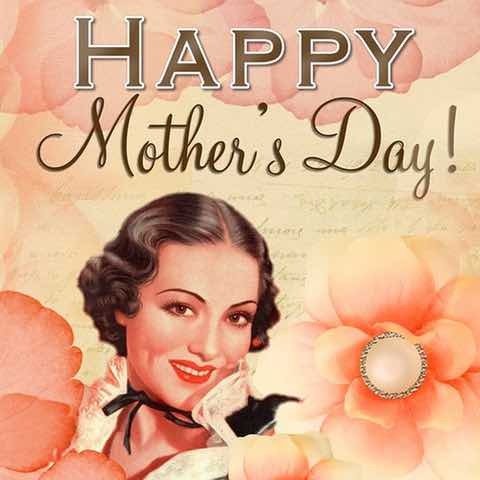 I'd like to start by wishing all the good moms out there a Happy Mother's Day. Regardless of whether you are an atheist or are still harboring a belief in some sort of gods, if you are a good mother, here's to you. Obviously, there is no such thing as Atheist Mother's Day, nor should there be. Enough with the identity politics already! Although Mother's Day isn't about atheism, I'd like to address some of what it means to be a good mother in the context of atheism. As far as I'm concerned, Mother's Day is not just about honoring whoever birthed you no matter what; it is about celebrating the positive aspects of our mothers and how they helped us develop into the people we are today. It goes without saying that a good mother does many things well. In the context of atheism and freethought, she promotes the value of education and encourages reason and critical thinking in her children. She does these things even if she is a devoutly religious person. She does them because she recognizes that her children are going to grow up to be their own people and not simply carbon copies of her. Sure, they will probably share some of her values. At least, she hopes that they will. Still, she recognizes that they have to be distinct from her too. They need to be prepared to make their own decisions. Even if she is an important part of their lives for many years, it is ultimately their lives. A good mother of an atheist child may not agree with anything about her child's atheism, but she does not disown her child for not sharing her religious beliefs. She tries to provide an adequate space for her child to explore his or her own beliefs. She provides support throughout this process even when she disagrees with some of where it leads. Again, such a mother recognizes that her children have to decide such big questions for themselves. She has some influence, but the day will come when her children must make their own decision. I think that most good mothers (and good fathers) who are atheists have an advantage when it comes to some of this. At the very least, it is hard to imagine an atheist parent disowning his or her child for being an atheist or failing to promote critical thinking at all. Still, I think that a good atheist parent also needs to recognize that the goal is not one of creating copies of oneself but of fostering independent thought. A good atheist mother may end up with a religious child. But if this happens, she recognizes that the decision to embrace religion belongs to her child. Mother's Day brings up a lot of intense emotions for many people. Some are not just understandable but engender great sympathy (e.g., grief around a deceased mother, emotional pain over a bad or absent mother). I find others a bit more puzzling (e.g., outrage that anybody would celebrate what one perceives as nothing more than the biological process of giving birth). For me, Mother's Day is a time to think about my mother and to express my gratitude for her patience and support despite all the crap I put her through. It is also a good excuse to think about the importance of good parenting in helping to shape the kind of future we want.